In this guest post A/Prof. Neuza Pedro, of the Institute of Education at The University of Lisbon, Portugal provides an overview of her research on future classrooms. 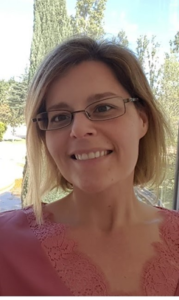 Neuza visited the ILETC project team in recent weeks, providing us with insights into her work and presented a seminar on her research – a video of which is available here. We look forward to building stronger connections with Neuza throughout our project. 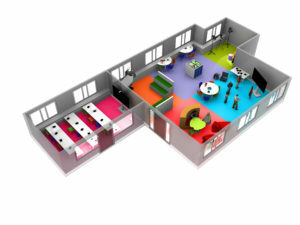 There is a growing interest in what will be the future of learning spaces. Concepts such as ‘21st-century classrooms’ or ‘Future Classrooms’ have been gaining prominence in the international context and in these the role of digital technologies in undeniable. It provides a clear description of the required skills for assuring the future citizens access to employment, personal development and social inclusion. As learning doesn’t happen in the vacuum, learning spaces must provide the opportunity for these skills to be developed by students. Classrooms must embed the ICT that young people need to master, as well as the (innov)ative learning approaches that can take full advantage of these devices. Yet, based upon the involvement in a four year European project- iTEC Project – for designing the future classroom, I would have to say that creating open and flexible learning space and filling them up with advanced technologies will not guarantee innovation on educational practices. 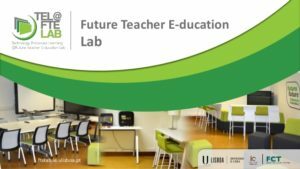 The iTEC Project, involved building a technology-enhanced learning environment for Teachers’ Education and the Future Teacher Education Lab, and supporting its use for three years. If you asked me what is the key-factor that can promote an effective use of technological enriched learning environments, I would have to say: Teachers’ Training! Well, the correct term would be teachers’ continuous professional development, because training tends to be seen as fragmented episodes of knowledge deepening and/or tools mastery that take place for a specific number of hours and professional development is a process that really goes through everyone’s professional lifetime. It takes time, commitment, action and reflection. Without accepting that todays’ innovation in educational practices requires teachers to stay continuously involved in updating their knowledge (scientific, pedagogical/didactical and technological), and without the institutions, schools as well as universities, accepting that effective support must be provided to teachers – the changes that must occur in the teaching practices, all over the world, will not happen at the required pace. At the Institute of Education- University of Lisbon, we have been trying to support our students in the Master’s Degree in Teaching to become aware of this need for change and gain the required spatial and digital skills to guarantee that they will be properly prepared to be a 21st-century teacher. The Project tel@FTELab 2016-2019 has been trying to answer the following question: what is distinctive about teacher education in technology enhanced learning spaces and how might it change teachers’ views about the future of schooling?